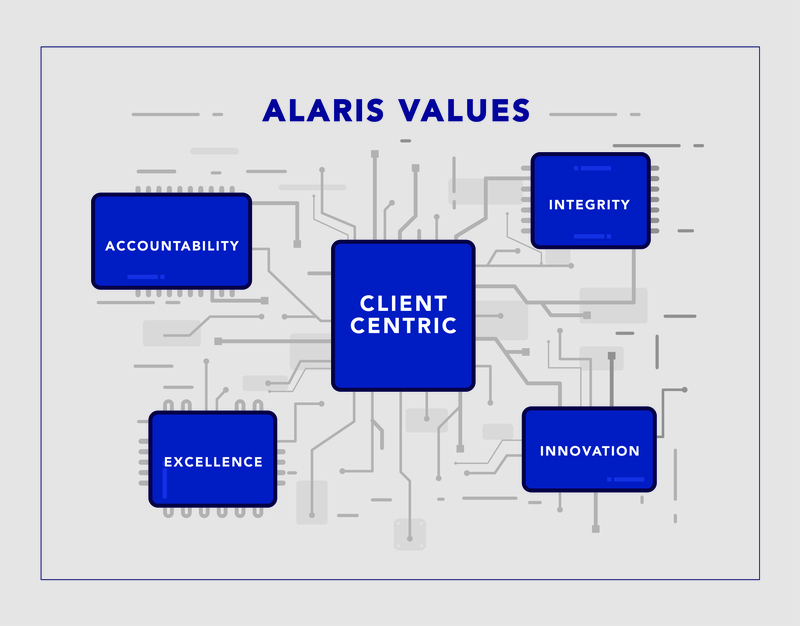 The Alaris Antennas VALUES define the way we do business and guide us daily in how we behave and make decisions. In order for us to achieve our GOALS, execute our STRATEGY effectively and realise our VISION, we are committed to live our values every day. As part of the Alaris strategy, we are driven to deliver quality solutions through innovation and service excellence. Whilst every staff member strives to achieve excellence in their performance, our focus remains on being client centric – both internally and externally. The core force for achieving our goals is based on integrity and accountability, which is evident in the strong relationships, not only with our clients and business partners, but also amongst colleagues.